Yesterday, on January 17, 2019, Norwegian Royal Family held a luncheon at the Royal Palace for The Supreme Court. 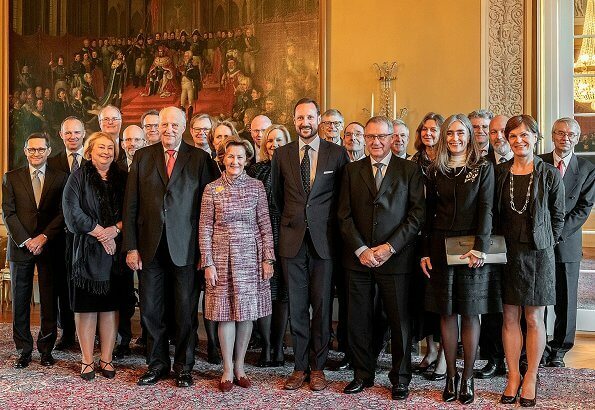 King Harald, Queen Sonja and Crown Prince Haakon attended the official luncheon and a photo relating to that luncheon was released on the Royal website. At first, the attendance of Crown Princess Mette-Marit to that luncheon was planned, however the Crown Princess could not attend the luncheon.